Carlton McCoy will play host to the wine world's most esteemed professionals when they visit Aspen this June. The esteemed master sommelier and wine maker Richard Betts likes to say that “wine is a grocery.” He is referring to the idea that in places, such as Italy, wine is part and parcel of everyday life. It is like another course that you have with your lunch or dinner — or both. I have always loved that descriptive, as it simplifies and makes the consumption of wine an egalitarian pursuit. But I also know that wine is also perceived, and rightly so, as a luxury item. On June 16-18, the 35th Food & Wine Classic in Aspen will kick off and there will be some pretty incredible luxury wines events taking place. The Classic attracts 5,000 attendees and is a defacto trade trip for many of the wine world’s luxury wine producers. In going through the offerings I was struck by a couple over-the-top happenings that speak to the “higher end” side of wine. 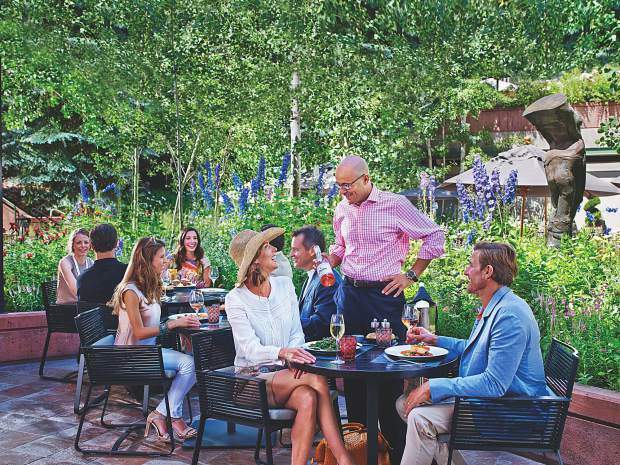 The Little Nell hotel, at the base of Aspen Mountain, is one of those places that wine lovers put on their bucket lists. 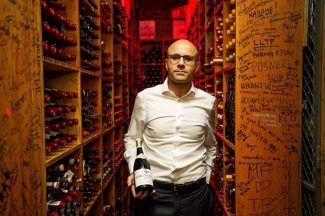 With one of America’s deepest and most interesting wine lists, it is also a hangout for the Court of Master Sommeliers, which often holds its examinations on the property. And during the Food & Wine Classic it is ground zero for the elite of the wine world. This year, Carlton McCoy, the wine director of the Little Nell, is hosting a pair of meals for those who recognize and prize the value of great wines. The first is a dinner at the hotel’s Element 47 restaurant. Titled “The Legacy of Opus One,” it will feature a vertical tasting of epic and historic wines that were the result of a Napa pairing between international wine legends Robert Mondavi and Bordeaux’s Philippe Rothschild. Sound good? How about a Krug Champagne Lunch? McCoy has also arranged a special lunch with a national representative of Krug, who will lead diners through the entire Krug portfolio, beginning with different bottlings of its multi-vintage wines, dating 15-20 years ago. Among the exclusive bottlings, guests will get to taste Krug’s Single Vineyard Blanc de Blancs Clos de Mesnil. Now each of these events represents an extraordinary wine experience, the kind that well, money can’t buy. But, in this case, The Krug Champagne Lunch and Legacy of Opus One Dinner are offered as a paired ticket for $2,000 per person (one seat at the lunch and one seat at the dinner). Interested? Contact Carlton McCoy at The Little Nell. And for something completely different, but in the same rarified realm, wine educator and writer Mark Oldman will be presenting a seminar at the Food & Wine Classic that is part of an evolving series focusing on many of the most expensive wines on the planet. His previous concepts have included “Wines for Millionaires” then “Wines for Trillionares.” Where else can he go but, well, zillionaires? In his tasting seminar, titled “Wines for Zillionares,” that will be presented twice over the Classic weekend, Oldman will be pouring attendees tastes of the following: a Champagne Taittinger Comtes de Champagne Blanc de Blanc 2006, which sells for $200 per bottle, a special “melchior” (that would be 24 bottles in one) bottling of the well regarded Benovia Winery Bella Una Pinot Noir Russian River Valley 2014 which, if you could get it, would cost at least $6,000. Then there is a “40th Anniversary 2014 Stag’s Leap Wine Cellars CASK 23 Cabernet Sauvignon,” at $275 bottle. Jay Z’s Ace of Spades Champagne Armand de Brignac Rose NV in magnum that would go for a grand, a 2009 Penfolds Grange also in magnum that the Aussies should have never let leave the continent, even for the $2,000 it costs, and a little gem from Italy, a Livio Felluga Picolit 2011 ($90). The total cost of the wines that he will pour? Oldman says it adds up to $9,565. Minus the tax, of course. Are these luxury wine experiences worth it? Well it depends upon who you are and what kind of personal value you place on one-of-a-kind wine experiences. And whether you can afford high-end groceries. Kelly J. Hayes lives in the soon-to-be-designated appellation of Old Snowmass. He can be reached at malibukj@aol.com.